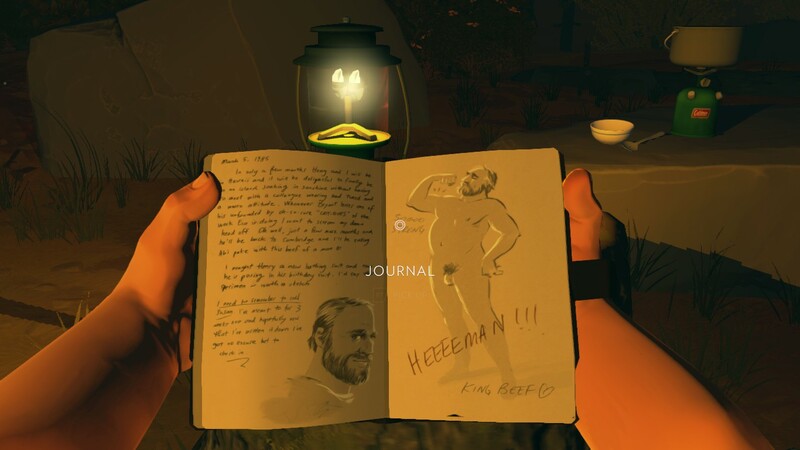 Warning: this review includes spoilers for the plot of Firewatch as well as gameplay elements and screenshots! 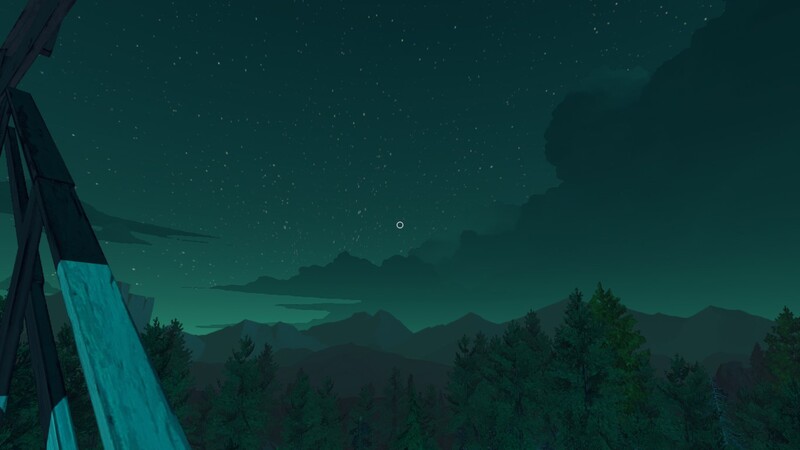 Firewatch is one of the break-out game titles of early 2016, and very probably the entire year. 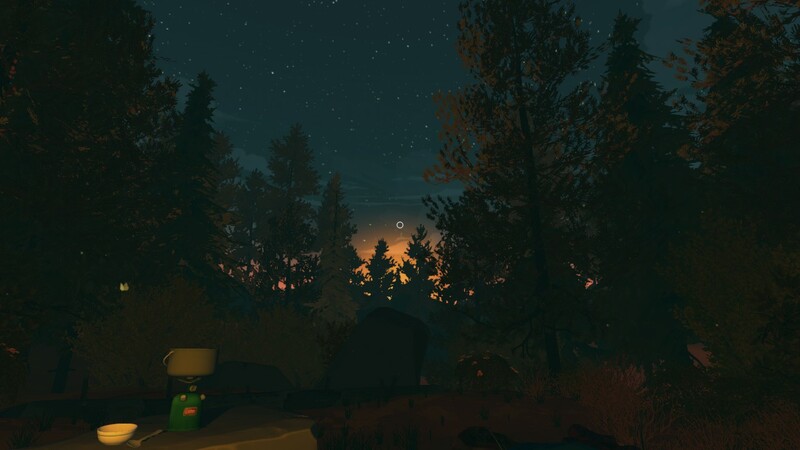 I love playing story-based games, I love mysteries that let you discover worlds — Firewatch is a distant cousin of The Long Dark (currently still in sandbox alpha, but already a lot of fun) in that it throws you right into the middle of stunning landscapes in Wyoming. 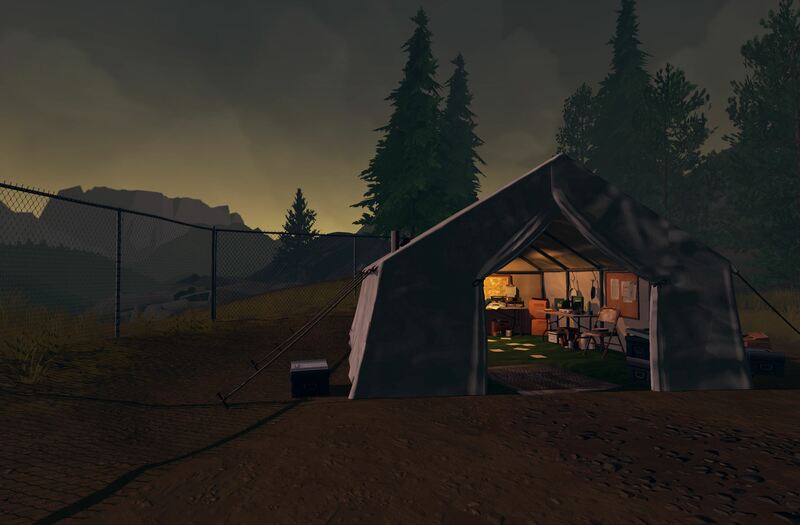 In this, it echoes survival games, but it’s also a point & click adventure with a story designed to lead you through many different terrains closer to the core of a fantastic, personal, heartbreaking story. but you do it without the 24/7 threat of starving to death in the cold. And yet, you still pee your pants with fright. You build your character, and just as you’re really, really sad about Julia and Bucket, you end up in Wyoming. That’s perhaps one inconsistency: she talks to someone else at one point, unaware that you’re listening in. You can either call her on it or stay quiet. In my playthrough, I stayed quiet, so I don’t know what she would have said. But she talks about something that Henry doesn’t know and that she doesn’t want to tell him, so… I’m not sure about her. Still, their banter is genuinely enjoyable and funny, the sarcasm is off the charts and yet never rings shallow or over the top. Delilah is wonderfully caustic and I love how much she loves taking the mickey. The relationship between her and Henry evolves even to the point of something of a silver lining (although I guess that would be more promising if the game were over after the night watching the fire in the night). You can make Henry give as good as he gets, or you can play him a little more tight-lipped, but where’s the fun in that? The two open up to each other across miles and miles of rock and forest, and it feels very real and human. He calls her ‘D’ pretty soon, which is just such an organic and smart way of conveying their closeness with, well, one letter. 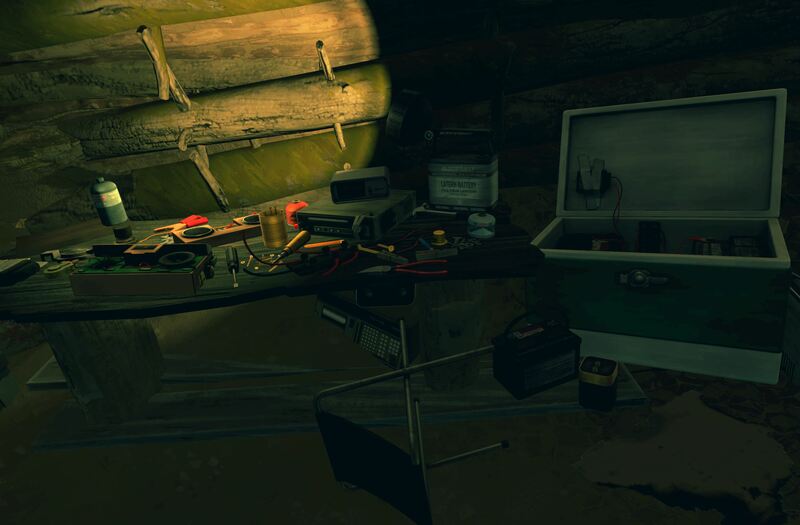 Once the phone lines are down and you’re cut off from everything, the tension really starts picking up; and once I got to Wapiti Station, I was terrified for Henry. There are no fights in this game, not even one quick-time event. The only thing you have to do quickly is decide what to reply to Delilah, and that, well, that makes complete sense. (And if you’re really not sure, you can still punch up the pause menu and think for a bit. But chances are you’ll just go with your gut.) And yet, the atmosphere is so intense, the sense of danger so real… precisely because you never see who’s doing this to you. You’re alone, in the wilderness, and someone is willing to kill you to keep a secret. 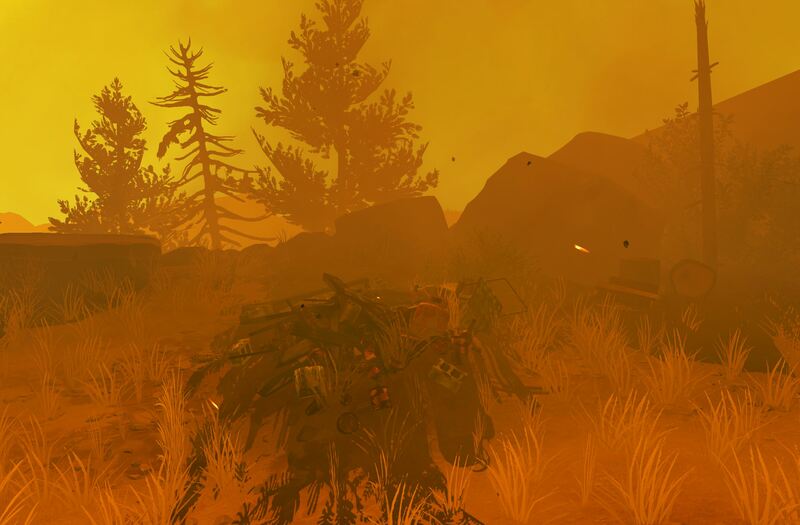 Firewatch builds that atmosphere so well, through nothing but sound and the power of imagination. The final day, which is when you know the entire terrain already, you get the added difficulty of poor visibility due to the smoke and strong wind, which makes it all the harder to actually find your way North to the evacuation point, which is a nice touch. Otherwise, it’d be too easy. Even though you now know what’s going on, you still have to fight your way through. 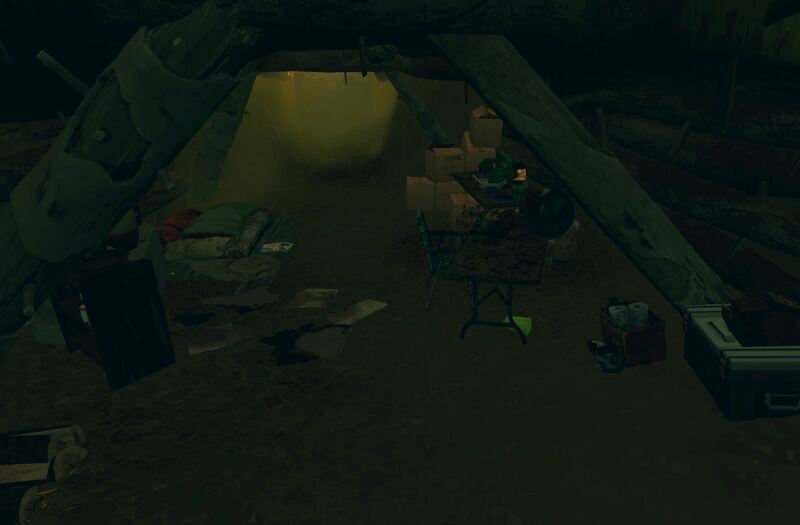 If, like me, you had a bad feeling about Brian Goodwin’s abandoned backpack right from the start, that hunch will pay off in the worst moment of the game: finding his body down in the cave. You’ve been using his ropes, his pitons, his camera; you found his totally cute, nerdy hideout, complete with a dragon’s fortress. And now you’re stepping over his bones. This game doesn’t pull any damn punches. It’s also really pretty: the graphics are fantastic, and even though the laptop I use for Steam gaming is really old and struggled with the medium settings and I had to set them to low and turn VSYNC off, the game still looked gorgeous on my TV. Controller support is smooth, and getting around with map and compass is easy enough, even for someone as directionally challenged as I am. how will the missing/then found teenage girls’ testimony affect whether the police will believe Henry and Delilah? where does Ned go? I mean, even with D and Henry’s testimony, they’ll still have to try and find him, once the fire burns itself out? Will they find Brian’s body? NextTV Season 2016/17 — Tributes, Assemble!